They’re back! Last year, King Gizzard & The Lizard Wizard played a roof-blowingly big show in the Danceteria. Since then, they’ve toured the US including Austin Psych Fest and Northside Festival, recorded at Daptone Studios, and way, way more. 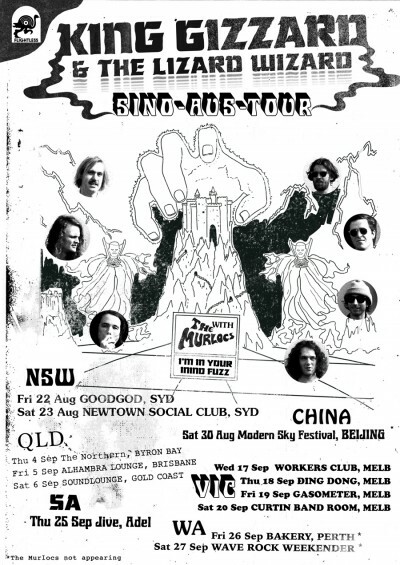 Now, their latest tour takes them around Australia, with a stop in China as well. We’re thrilled to welcome them back to the Danceteria for a huge Friday night early show, with The Murlocs opening proceedings. Be early!